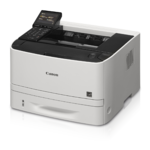 The Canon imageCLASS LBP351dn is an easy to use, duplex, single function laser printer ideal for any business environment. 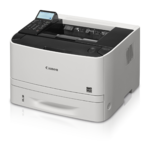 The LBP351dn delivers lightning fast, exceptional black and white laser output and prints at speeds of up to 58 pages-per-minute1, with your first print available in 7.2 seconds or less2. The device supports UFR II, PCL 5c/e, PCL6, Adobe® PostScript®, PDF and XPS printer languages, allowing greater versatility for your printing needs. Eco-friendly, automatic duplexing right out of the box helps your business save on paper and related costs. Designed to handle your versatile, growing and fast paced business output needs, the LBP351dn offers remarkable paper handling in an expandable, configurable construction. The LBP351dn comes standard with a 500 sheet cassette and 100 sheet multipurpose tray, with multiple optional accessories available to support paper feeding up to 3,600 sheets3. 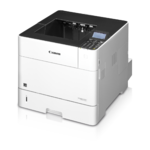 The LBP351dn features mobile capabilities for printing on-the-go using your compatible mobile device such as Apple® AirPrint®5, Mopria™ Print Service6 and Google Cloud Print™7. 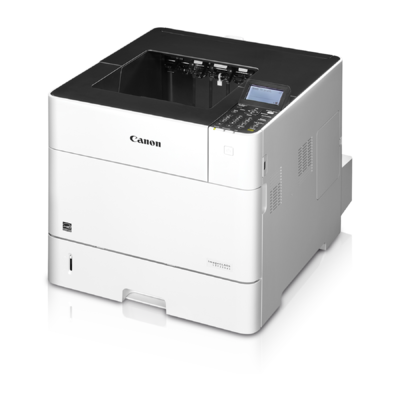 The Canon PRINT Business4 app allows users to print to the device from compatible iOS or Android devices. Password protected Department ID Management helps business owners manage device usage for up to 300 IDs. With USB Direct Print, you can easily print from your USB Flash drive in JPEG, TIFF, PDF and XPS formats. The LBP351dn uses approximately 1 watt of energy in wired, energy saving mode, helping you save on energy costs. The single cartridge system combines the toner and drum into one unit, making replacement of cartridges simple. This printer uses GENUINE Canon Toner Cartridge 039 Black and 039 High Black for higher volume printing. 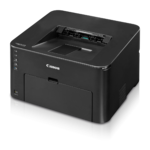 Lightning fast, exceptional black and white laser output and prints at speeds of up to 58 pages-per-minute1, with your first print in your hands in 7.2 seconds or less2.